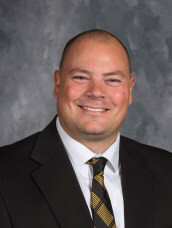 My name is Jonathan Petersen and am proud to be the principal of Smithton High School! I love to have fun while I do my job and Smithton has allowed me to do just that. It is exciting, rewarding, and made possible by the people around me every day. 2010-2012. Finally, I was led to begin my career in administration here in 2012 and have truly enjoyed it. The students in Smithton are amazing. They are respectful, friendly, and hardworking. The families that make up the community are very prideful and welcoming. Smithton teachers are passionate and knowledgeable professionals. All staff and community work together to Encourage, Engage, and Educate with Excellence. Which is why if you ask around, you will continue to hear what I did several years ago...Smithton is a great place to be!